Joseph McGarrity (1874-1940), at the age of 18, left his Irish hometown of Carrickmore, County Tyrone to immigrate to America. He arrived in Philadelphia with no luggage, very little money and a strong sense of Irish nationalism that would soon attract him to become an active member of the Clan-na-Gael, the leading Irish republican organization in the United States. He would, during his lifetime, rise to lead the Clan-na-Gael and become a significant figure in the struggle for Irish independence. 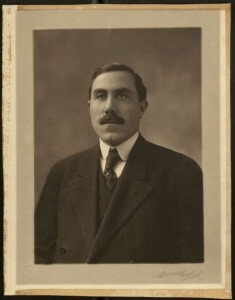 Despite the secretive nature of much of Joseph McGarrity’s political activity, his name surfaces in the historical record at key moments during the tumultuous years of the Irish Revolution and the foundation of the Irish Free State. Students of Irish history encounter McGarrity as a successful liquor and real estate entrepreneur who helped finance the Easter Rising in 1916; and as a colleague, confidant and correspondent of many of the leading Irish revolutionaries of the period, including Michael Collins, Padraig Pearse, Roger Casement, John Devoy and Harry Boland. He is also known as a close personal friend of Eamon de Valera, and as one of the key architects, along with Sean Russell, of what came to be known as the Sabotage or S-plan Campaign, the IRA’s 1939 bombing operation against targets on British soil. 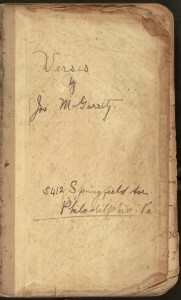 While the political and administrative papers that tell the singular story of Joseph McGarrity’s lifelong commitment to the cause of Irish independence are scattered across many repositories, including the National Library of Ireland and New York Public Library, his personal papers held by Villanova University provide unique insight into Joseph McGarrity the man—the devoted father, friend, Catholic and poet. 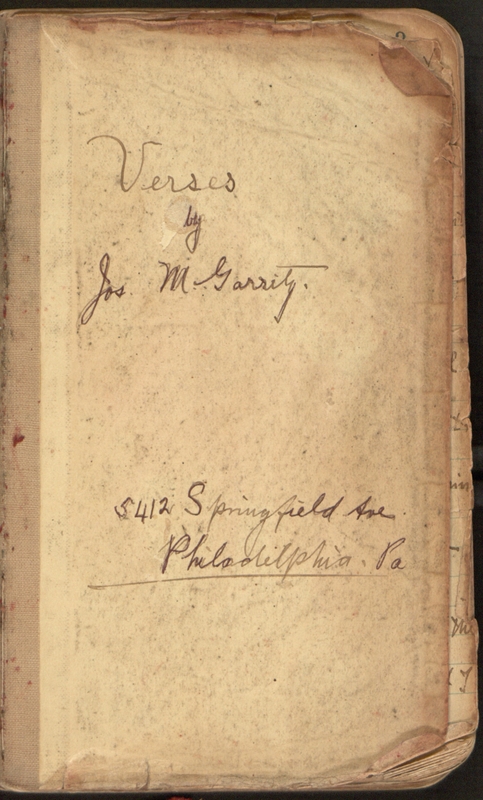 It is the latter, McGarrity the poet (who also maintained a lifelong interest in Irish history, culture and books), which provides the focus of Joseph McGarrity: Man of Action; Man of Letters, a new Villanova Digital Library online exhibition. A man of moods and memories whose days were taken up with business, an Irish country boy living the strenuous life of an American city, a man of simple Catholic piety going vehemently through the world, Joseph McGarrity must have been aware of a conflict in himself. In many ways this psychological portrait of McGarrity as a seemingly contradictory figure sets the framework for this exhibition; which, it is hoped, will suggest something of the complexity hinted at by Colum. Joseph McGarrity: Man of Action; Man of Letters presents a selection of digitized items representative of McGarrity as a literary man exhibited alongside descriptions of key details of his remarkable life, of his “going vehemently through the world.” All exhibition items are drawn from Special Collections, Villanova University Falvey Library (many of which are accessible online through Villanova University Digital Library).